What comes to mind when you think of Magical Girl? Evil that’s trying to destroy the world, grandiose transformation sequences and finishing attacks that take up a quarter of the run time, and so much friendship it puts My Little Pony to shame. That might be an exaggeration of what it actually is but still it’s pretty close to accurate. 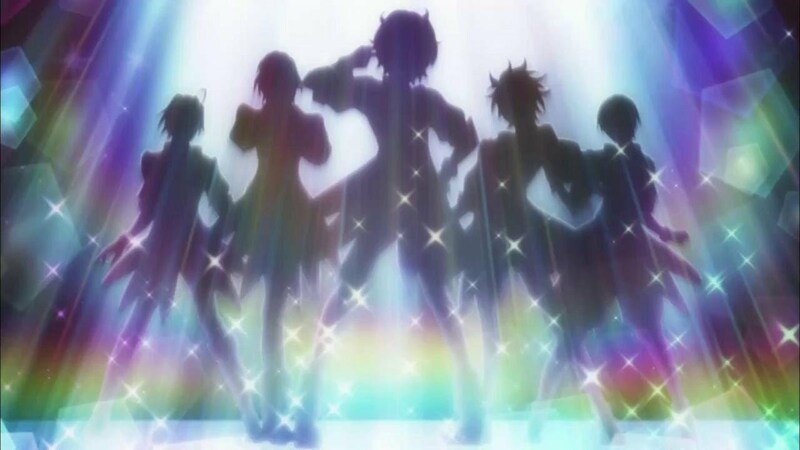 Now, what comes to mind when you think of Magical Boy? I’m not talking about a ten-year-old mage who gets dumped into being a teacher at an all-girl’s school. I’m talking about that same grand transformation, evil busting, friendship slinging genre that is Magical Girl but with dangly bits thrown in. 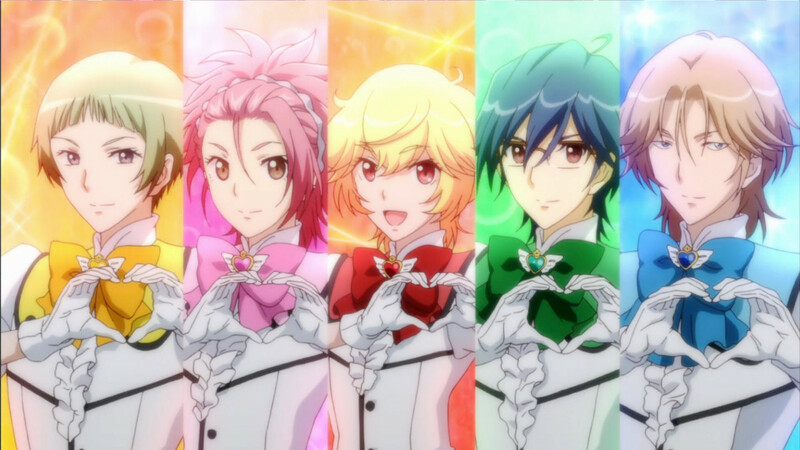 Cute High Earth Defense Club Love! was everything I didn’t think I needed in my life. 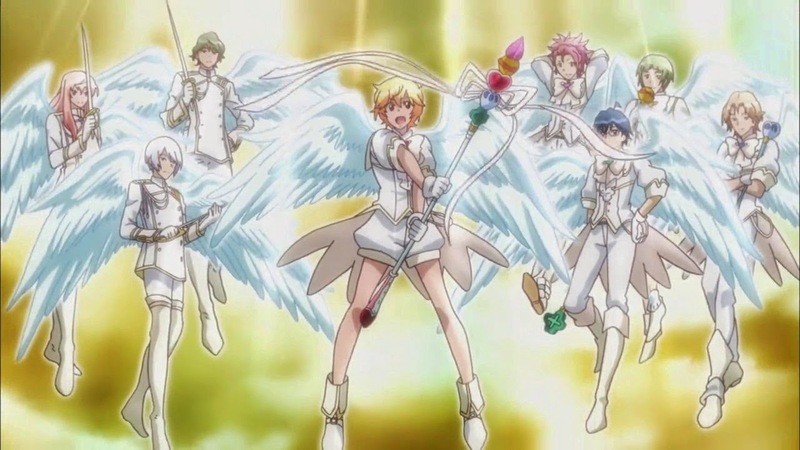 This parody of the magical girl sub-genre is about high schoolers in the “Earth Defense Club” whom receive super powers based on the Earth’s elements (gaining the title of “Battle Lovers”) and their struggle versus various monsters that are spawned by the “Earth Conquest Club” who wish to conquer the Earth. The twist? Each monster is made by transforming a student at the school into a twisted version of their desire, whic can be defeated by the power of love that is provided by our heroic Battle Lovers. Did I forget to mention that this happens in an all-boys school? The main draw of this anime is that it does not take itself seriously at all. Obviously it’s aimed towards the female demographic but if you can get over the fan service bath house scenes and homosexual humor that is dropped every now and again we see that Cute High Earth Defense Club Love! actually does promote some decent messages. The anime itself promotes “Love”, like a lot. Whether it be finding it in the heart to love oneself or learning to forgive a loved one the message is quite clear: love conquers all.